The Expo hours are Saturday 10am-3pm and Sunday 10am-3pm. A single day pass will work for either day of the event. Parking at the Fairgrounds is $13 daily. Cash and credit card accepted. No in/out privileges. 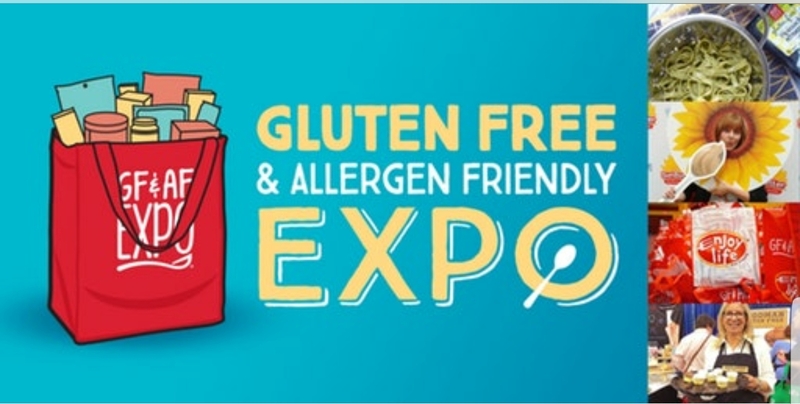 The GFAF Expos are the greatest events on earth for those living a gluten-free or allergen-friendly lifestyle. Sample hundreds of products, meet with local & national brands, receive coupons and attend informative presentations by top-notch speakers. The Expos are a fun, family-friendly, educational and safe place made just for you! Entry into the vendor fair with 100+ exhibiting brands. Coupons from the best gluten-free & allergen-friendly brandsFREE samples from exhibitors- baked goods, pizza, healthy options & more. Discounted products available for purchaseInformative classes related to the gluten-free & allergen-friendly lifestyle. Free reusable bag to carry your goodies. The chance to meet your favorite brands, restaurants, authors & bloggers.